Please welcome Kameron Hurley to The Qwillery. 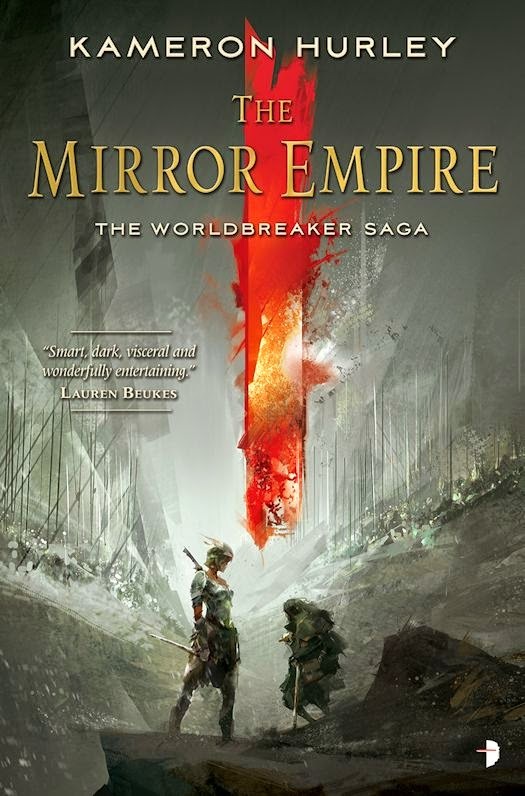 The Mirror Empire, the first novel in the Worldbreaker Saga, was published by Angry Robot Books on August 26, 2014 in North America and digital format and will be published on September 4, 2014 in the UK in print format. I get a lot of questions about worldbuilding. It’s right up there with characterization as my favorite part of writing, and is most certainly my favorite part of choosing to write in genre. I can create whole worlds from the ground up. As I relish in this power of virtual creation, it always seemed odd to me that more people didn’t spend time worldbuilding. Weird writers like China Mieville, KJ Bishop and Angela Carter impressed me with the lush weirdness of the worlds they built, both fascinating and horrifying me as a reader. So when I went to create the creatures inhabiting the world of my latest book, The Mirror Empire, my new epic fantasy novel, you can bet building fantastic creatures was top of mind. In my God’s War trilogy, I had created a world powered by different types of insects – some real, some made up for the book. Using bugs as a form of commerce and technology affected every other thing in the book, so it was vital to get that system down early. For The Mirror Empire I wanted to have a similarly ubiquitous and strange way of populating the landscape that affected how people worked, traveled, lived. So… why not flesh-eating plants? Cue the “feed me” jokes. Yes, they are apt. I tinkered with the idea of having these semi-sentient types of plants, like walking trees and ground cover that would creep up and engulf you if you sat still too long. I imagined huge bladder traps and massive pitcher plants that ate people and mammals instead of insects. I had also made the primarily point of view culture in the book vegetarian, which seemed to present some interesting issues: it wasn’t as if they could pretend plants didn’t have feelings and motivations when some of them really, really did. So their choice to be vegetarians, I suspected, was not going to be a wholly moral one. I also made a conscious choice to steer clear of totally unfamiliar names when telling readers what my creatures were, from bears to treegliders to pitcher plants to bladder traps. I used real-world names whenever possible for things that were… well, almost like their earth equivalents. There were already a lot of made-up names across several cultures, and I wanted to reduce the number of new terms that readers were introduced to. So even though the bears on this world have forked tongues and bifurcated paws and protruding fangs, I call them bears. And even though the bladder traps are six feet tall and hidden underground, attached to the roots of trees, instead of miniscule things meant to catch bugs attached to the roots of small plants, they’re called bladder traps. I learned this trick from author Tara K. Harper, whose Wolfwalker books appear, at first blush, to be standard fantasy novels. But as you get deeper into it you realize the “horses” have six legs, and the other creatures and landscapes you thought were fantasy pseudo-familiar are… not. I had a similar moment of dissonance reading Paul Park’s Starbridge Chronicles, when, halfway through the book there’s a sentence like, “He pushed her tail out of the way” and I was like HOLY CRAP THEY HAVE TAILS??? It turns out that when you’re building really weird worlds, waiting to reveal just how weird they are is kinder to the reader than a mess of word vomit at the start. I had approached many aspects of writing the God’s War trilogy the same way, using real-world words (though not always English ones) to describe things that most assuredly… were not. Or were, at best, used to define slightly different types of things. Steering clear of too many made-up words is probably my biggest piece of worldbuilding advice, especially if, like me, you’re already making up a good deal, from the names of the people and places to the gods and the unique terms and titles used by several different cultures. You’re already going to have some interesting word salad. Try not to overdo it. In the frozen kingdom of Saiduan, invaders from another realm are decimating whole cities, leaving behind nothing but ash and ruin. 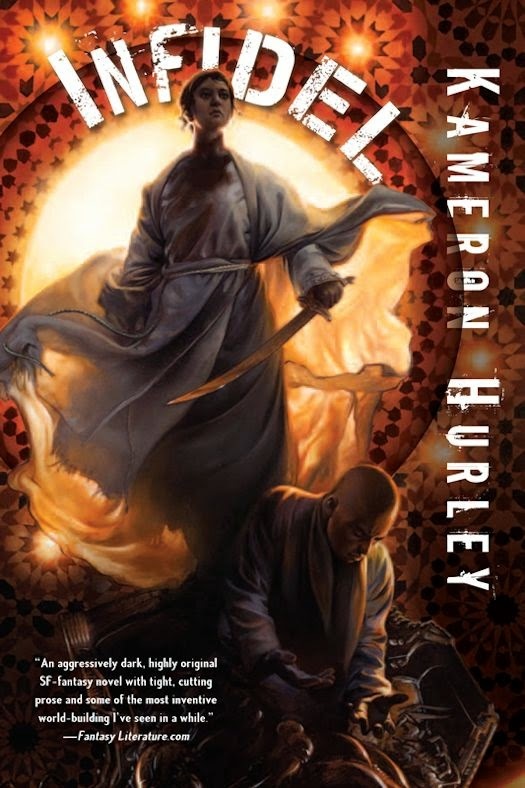 As the dark star of the cataclysm rises, an illegitimate ruler is tasked with holding together a country fractured by civil war, a precocious young fighter is asked to betray his family and a half-Dhai general must choose between the eradication of her father’s people or loyalty to her alien Empress. 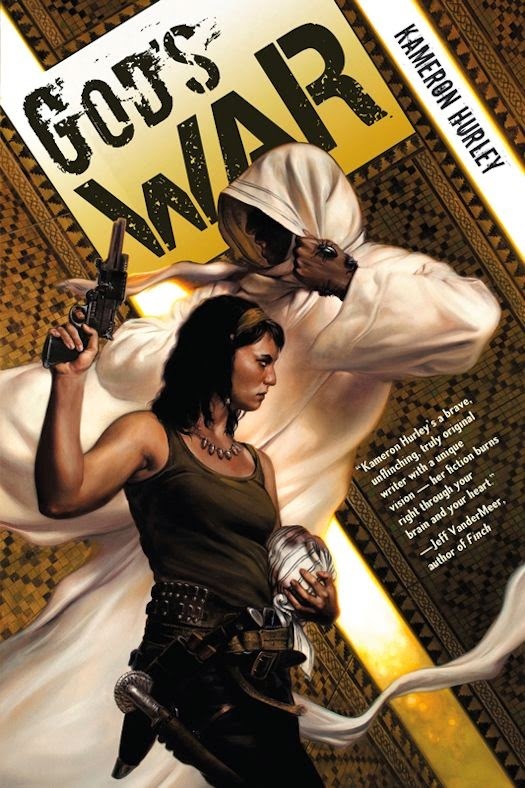 Kameron Hurley is the author of the novels God’s War, Infidel, and Rapture a science-fantasy noir series which earned her the Sydney J. Bounds Award for Best Newcomer and the Kitschy Award for Best Debut Novel. She has won the Hugo Award and been a finalist for the Arthur C. Clarke Award, Nebula Award, the Locus Award, BFS Award, and the BSFA Award for Best Novel. Her latest novel, The Mirror Empire, was published by Angry Robot Books on August 26th, 2014. Nyx used to be a bel dame, a government-funded assassin with a talent for cutting off heads for cash. Her country's war rages on, but her assassin days are long over. Now she's babysitting diplomats to make ends meet and longing for the days when killing people was a lot more honorable. When Nyx's former bel dame "sisters" lead a coup against the government that threatens to plunge the country into civil war, Nyx volunteers to stop them. The hunt takes Nyx and her inglorious team of mercenaries to one of the richest, most peaceful, and most contaminated countries on the planet -- a country wholly unprepared to host a battle waged by the world's deadliest assassins. In a rotten country of sweet-tongued politicians, giant bugs, and renegade shape shifters, Nyx will forge unlikely allies and rekindle old acquaintances. And the bodies she leaves scattered across the continent this time... may include her own. After years in exile, Nyxnissa so Dasheem is back in action in service to the bel dames, a sisterhood of elite government assassins tasked with eliminating deserters and traitors. The end of a centuries-long holy war between her country, Nasheen, and neighboring Chenja has flooded the streets of Nasheen with unemployed – and unemployable – soldiers whose frustrations have brought the nation to the brink of civil war. Not everyone likes this tenuous and unpredictable “peace,” however, and somebody has kidnapped a key politician whose death could trigger a bloody government takeover. 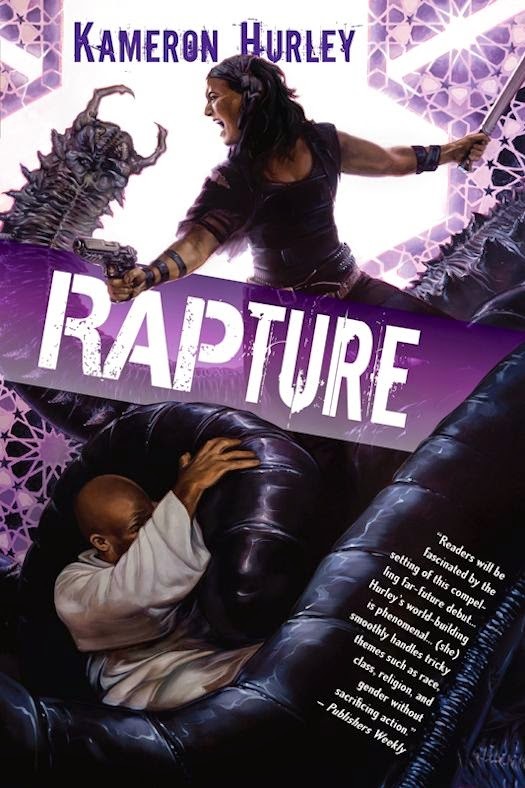 With aliens in the sky and revolution on the ground, Nyx assembles a team of mad magicians, torturers,and mutant shape-shifters for an epic journey across a flesh-eating desert in search of a man she’s not actually supposed to kill.